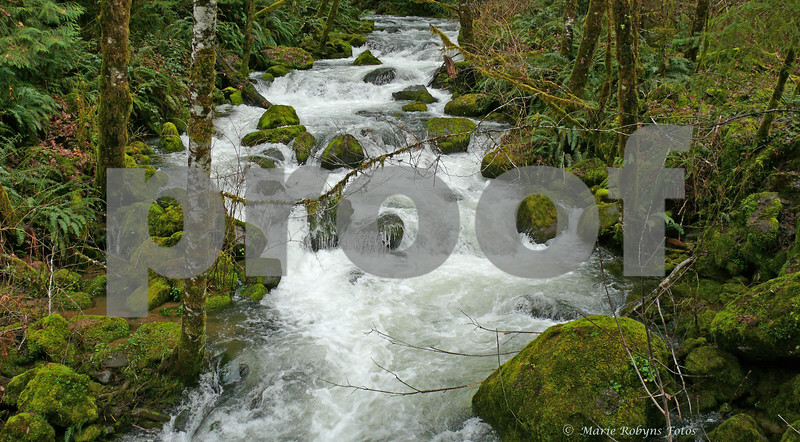 In early March snow melt and spring rains swell creeks and rivers on the Southern Oregon Coast. Elk Creek gushes along below the path leading uphill to Elk Creek Falls. Elk Creek Falls is located along the Coquille-Rogue Byway in the Rogue River - Siskiyou National Forest. Photograph taken March 6, 2011 about 4:30 pm.